Zafgen Inc said positive data on its experimental obesity drug could convince the U.S. Food and Drug Administration to lift a clinical hold placed on its trials in December after two patients died. Zafgen’s shares more than doubled on Wednesday after the company said its lead drug, beloranib, significantly reduced body weight and an excessive urge to eat in patients with Prader-Willi syndrome (PWS), the most common genetic cause of life-threatening obesity. “The fact that our drug is impacting both of the major issues that confront these patients is clearly a path forward,” Chief Executive Thomas Hughes told Reuters. An abnormal surge in appetite, known as hyperphagia, dominates the lives of those suffering from PWS, which typically kills three out of every 100 patients each year. At the outset Zafgen did expect one or two deaths in the trial owing to the nature of the disease, Hughes said. The company is still trying to understand the impact of beloranib on blood clotting, he added. Leerink Partners analysts said an effective patient screening process and a risk mitigation strategy could make for a compelling case for the FDA, despite the two deaths. 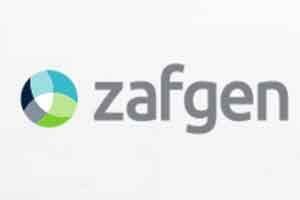 Zafgen said it would give the FDA data from the study so far, along with data from another trial. The latest report included data from 74 patients who completed the late-stage study, and 27 patients who completed at least 75 percent of the trial before the FDA placed a partial hold on studies in October after a patient died. The FDA asked Zafgen to halt all tests on the drug in December after a second patient died from an artery blockage in the lung. Zafgen said on Wednesday patients given a 2.4 mg dose of beloranib lost 9.45 percent of their body weight, while those given a 1.8 mg dose lost 8.20 percent. Six patients discontinued the trial early, with four showing signs of psychiatric disorders, the company said, but noted that the number of dropouts were too few to be reliably attributed to the drug.